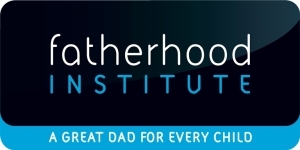 The Fatherhood Institute is one of the most respected fatherhood organisations in the world. A registered UK charity (number 1075104), our work focuses on policy, research and practice. prepares boys and girls for a future shared role in caring for children. 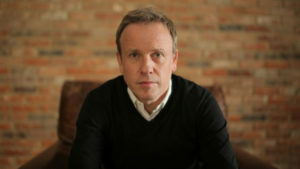 Watch TV presenter Tim Lovejoy talking about us and our work on ITV’s Loose Women. Read this article in the Blog on Learning and Development that sets out why dads matters to children’s education (which is, of course, one of the main areas in which fathers, like mothers, impact on children). We offer a wide range of training and consultancy services, including courses for family services, courses for schools, workplace courses, and bespoke consultancy. Fathers Reading Every Day is our supported reading programme for fathers of children in schools and early years centres. This has been found to have significant positive impacts on children’s reading and other aspects of attainment. Read more here. Family Foundations is our couple-focused ante- and post-natal intervention for new dads and mums. It is featured in the Early Intervention Foundation Guidebook, with a strength of evidence rating of 3 (out of 4), and was an ’exemplar’ in a recent systematic review of parenting interventions. #MITEY (Men In The Early Years) is our campaign to improve the gender balance of the UK’s early years workforce. We produce research summaries that collate the best evidence about fathers and fatherhood, to inform policy and practice; in 2017-18 we published the biggest ever review of research about UK fathers, funded by the Nuffield Foundation. We lobby for father-inclusive family policy, for example well paid, use-it-or-lose-it parental leave for dads. We regularly provide seminars and webinars for corporate and other clients, about modern fatherhood and parenting issues. Please contact us for more details. You will find many useful and free resources, including research summaries, policy briefings and practitioner downloads, throughout our website. You can stay in touch with our work by signing up for our monthly e-newsletters and other eshots delivered to your inbox. We are also active on Facebook and Twitter. We have a long history of successful collaboration with other organisations, including government departments, local authorities, schools and voluntary sector bodies. If you would like to discuss a possible partnership, please contact us. Read more about our team and our patrons & trustees. The Fatherhood Institute is a tiny organisation with few overheads, which punches above its weight. We welcome donations. Please note: we are not a membership organisation. We advocate for involved fatherhood but do not approach our work from a fathers’ rights perspective.